In the years to come, climate change and population growth will drastically alter the world around us, impacting farmland and the way we grow food. 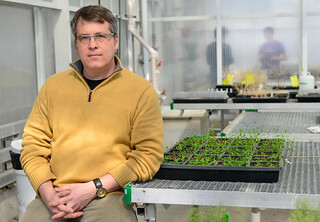 Scott Peck, associate professor of biochemistry, studies how plants perceive and respond to changes in their environment. 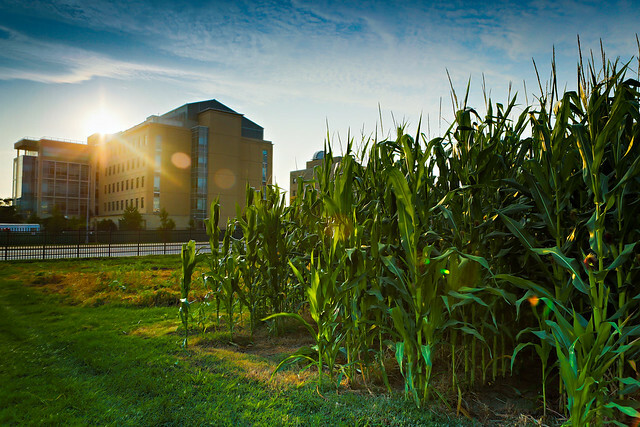 New research from an interdisciplinary team at the University of Missouri is hoping to curb the decrease in food production due to climate change by studying the roots of corn and understanding its growth in these intense conditions. drought conditions. The National Science Foundation (NSF) recently awarded them a $4.2 million grant to spend four years developing drought-tolerant corn varieties in an effort to sustain the 9 billion people estimated worldwide by 2050. The interdisciplinary team is comprised of seven co-primary investigators from four MU colleges as well as the USDA-ARS. Read the full release from Mizzou News. It’s been almost a week since the 2016 MU Life Sciences and Society Program Symposium, “Confronting Climate Change” wrapped up. If you missed the event, check out our Flickr gallery to see a little bit of the excitement. We also had the chance to chat a few minutes with most of the LSSP speakers who graciously shared their insight on climate change in our lives. Check out these conversations on our YouTube page from the link at the top of the page. Last but not least, we put together a radio piece for KBIA giving some speaker highlights. Visit our SoundCloud to see more. Naomi Oreskes is a professor of the history of science at Harvard University and a geologist by training. At a time when global warming was framed by the media as a debate, her 2004 paper in the journal Science showed that climate change was a settled fact among climate scientists. Of the 928 papers she sampled in her literature search, not a single author denied the reality of climate change. Digging further, Oreskes explored in her book, Merchants of Doubt, co-authored with Eric Conway, the people, organizations, and motivations behind climate science misinformation. From cigarettes and acid rain to global warming and the ozone hole, Oreskes and Conway uncovered how industries such as Big Tobacco and Big Oil employed a core group of ideologically-motivated scientists to fabricate doubt and stymie government regulations. Since the publication of Merchants of Doubt, Oreskes has been active in conversations about how we can move beyond debate and towards climate change intervention and action. She and Conway also wrote a sci-fi novel imaging a catastrophic future when society in the past (our present) failed to act on climate, The Collapse of Western Civilization. Naomi Oreskes speaks on Saturday,3:30 pm as part of the LSSP Symposium, “Combatting Climate Change,” held at the Bond Life Sciences Center. What has been the response of people who, through reading Merchants of Doubt or watching the documentary, have changed their minds about climate change? Many people have written to me and Erik Conway to thank us for writing the book. I’d say the most common response was that the book helped them to understand why there was so much opposition to accepting the scientific evidence. I can’t say that I know for sure that thousands of people changed their minds after reading the book, but I do know that among those who did, the link to the tobacco industry was most compelling. Our research showed that the opposition was not rooted in problems with or deficiencies in the science. You said in an interview with Mongabay, “In our society, knowledge resides in one place, and for the most part, power resides somewhere else.” How can we hold accountable oil and gas companies which have quietly known since the early 1980s that burning fossil fuels contributes to global warming, but used their power to impede actions that would combat climate change? I’m not a lawyer, so I cannot answer the legal aspects of this question, but state attorneys around the country are now looking into that question. As a citizen and a consumer, I can say this: One way we can hold companies accountable by not investing in them, and this is why I support the divestment movement. We can also boycott their products. In the current world, that is very difficult to do, but we can make a start. I installed an 8-watt solar PV system in my house, and we are now just about net-zero for electricity. Is it possible to make up for 30 years of squandered time? No of course not. Lost time is lost time. But knowing how much time has been lost, we should have a sense of urgency now, try not to lose any more. Which strategies are being proposed for immediate climate action? Are environmental scientists and economists in agreement over which courses of action make the most sense? Yes I think so. Nearly everyone who has studied the issue agrees that the most effective immediate action that is available to us is to put a price on carbon. This will immediately make renewables and energy efficiency more economically attractive, and it will send a signal to investors that fossil fuels will no longer be given a free pass for their external costs. This means that future returns will be greater in the non-carbon based energy sector. Anyone interested in this should read Nicolas Stern’s very informative book, Why are we Waiting? How might the nomination of Merrick Garland to the Supreme Court and the results of the 2016 presidential elections affect the role that the US will play in combating climate change? Best case and worse case scenarios. Worst case: read The Collapse of Western Civilization. You’ll find my answer there. 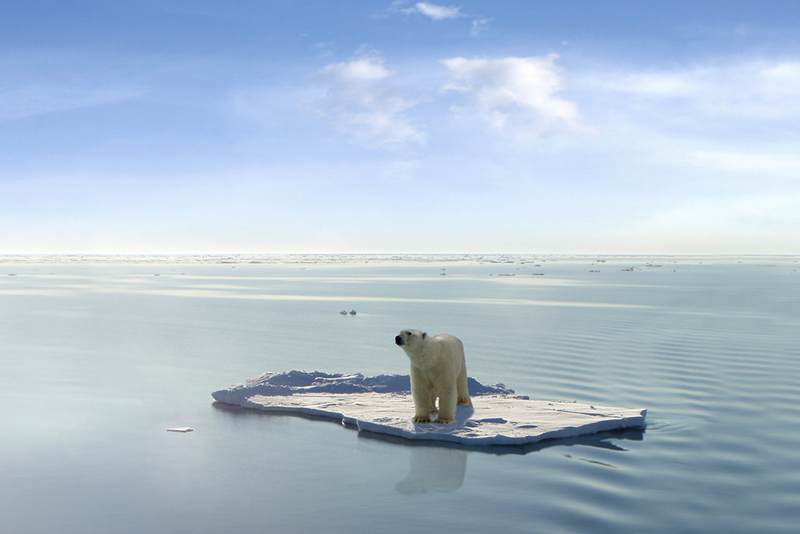 Of all the important issues out there, what motivates you to devote your time and energy to fighting climate change? Oh that’s a good question. I didn’t decide to work on climate change, I fell into it when Erik Conway and I tripped over the merchants of Doubt story. Then, as I learned more and more about the issue, I came to appreciate scientists’ sense of urgency about it. Climate change is a pressing issue. Just last week, the National Academies of Sciences, Engineering and Medicine published a report linking climate change to extreme weather conditions such as heat waves, droughts, and heavy snows and rains. Globally, 2015 was the warmest year on record, according to climate updates from the National Oceanic and Atmospheric Administration. And January kicked off this year by logging temperatures exceeding those of all previous Januaries on record, a disturbing trend that’s persisted for nine consecutive months to date. Meanwhile, GOP candidates either do not believe in climate change or deny that it is caused by human activity, or have no strategies to combat climate change. And Democratic hopefuls Hillary Clinton and Bernie Saunders split on how to transition to renewable energy and reduce our carbon footprint. The 12th annual Life Sciences & Society Program symposium — with events from March 17 to 19 — will tackle one of the most pressing issues facing the world today. Titled “Combating Climate Change,” speakers will address topics such as using technology to help curb global warming, how rising temperatures and more extreme weather will impact human health, the role of government in taking action to combat man-made climate change, and how to effectively communicate climate change. 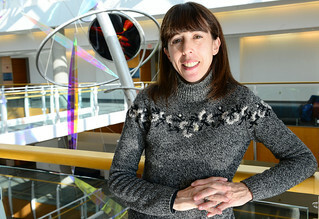 Marcia McNutt–editor-in-chief of the leading journal, Science, and a geophysicist by training—will talk about the “promise and peril” of climate interventions such as carbon dioxide removal (CDR) and albedo modification, a process that involves spraying particles into the atmosphere to reflect more sunlight back into space to cool the earth. There has been “significant advancement” in technologies such as carbon capture and storage, McNutt wrote by email, but these technologies have not moved beyond the research stages for economic reasons. She pointed out that most climate interventions act slowly and take time to implement. Albedo modification is the exception, McNutt said, but while quite a bit of work has been done to model its effects, the risks are high. Few scientists believe we know enough about albedo modification to seriously consider it, she said. “There is no silver bullet that is a magical antidote to climate change,” McNutt said. To see the schedule of this week’s events and register for the symposium, visit the MU LSSP website. When it comes to cookie dough, we’re not the only ones who can’t control our cravings. Kyle Parker’s rats couldn’t resist, either, thanks to a tweak in their brain chemistry. 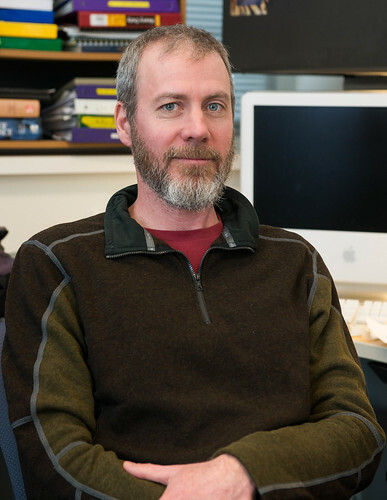 Parker studies the neuroscience of food-based rewards. Behavior scientists view non-homeostatic eating — that’s noshing when you’re not hungry — as a two-step process. “I always think of the neon sign for Krispy Kreme donuts.” Will said, by way of example. Parker activated a “hotspot” in the brains of rats called the nucleus accumbens, which processes and reinforces messages related to reward and pleasure. He then fed the rats a tasty diet similar to cookie dough, full of fat and sugar, to exaggerate their feeding behaviors. 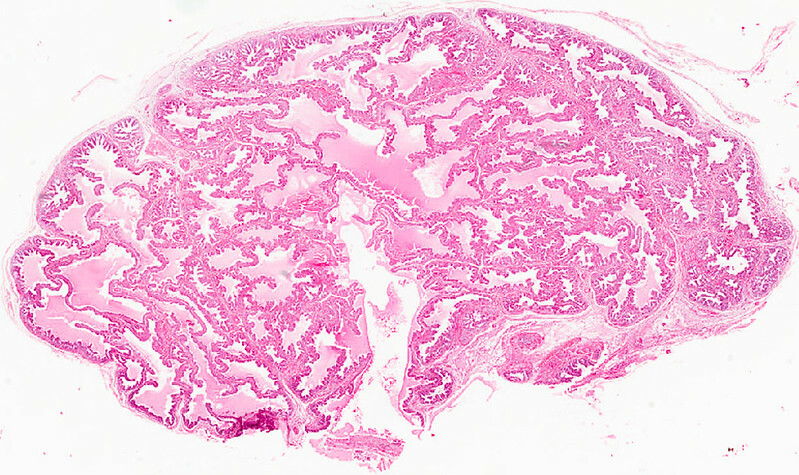 Rats with activated nucleus accumbens ate twice as much as usual. But when he simultaneously inactivated another part of the brain called the basolateral amygdala, the rats stopped binge eating. They consumed a normal amount, but kept returning to their baskets in search for more food. To find out what was happening in the brain during cravings, Parker set up a spin-off experiment. Like before, he switched on the region of the brain associated with reward and pleasure and then inactivated the basolateral amygdala in one group of rats but not the other. This time, however, he restricted the amount of the tasty, high-fat diet rats had access to so that both groups ate the same amount. This way, both groups of rats outwardly displayed the same feeding behaviors. They ate similar portions and kept searching for more food. But inside the brain, Parker saw clear differences. Rats with activated nucleus accumbens showed increased dopamine production in the brain, which is associated with reward, motivation and drug addiction. Whether the basolateral amygdala was on or off had no effect on dopamine levels. However, in a region of the brain called the hypothalamus, Parker saw elevated levels of orexin-A, a molecule associated with appetite, only when the basolateral amygdala was activated. “We showed that what could be blocking the consumption behavior is this block of the orexin behavior,” Parker said. The results reinforced the idea that dopamine is involved in the approach — or the craving phase — and orexin-A in the consumption, Will said. Their next steps are to see whether this dissociation in neural activity between cravings and consumption exists for other types of diets. Will also plans to manipulate dopamine and orexin-A signaling in rats to see whether they have direct effects on feeding. Behavioral Neuroscience published the study, “Neural Activation Patterns Underlying Basolateral Amygdala Influence on Intra-Accumbens Opioid-Driven Consummatory Versus Appetitive High-Fat Feeding Behaviors in the Rat,” in the December 2015 issue. A grant from the National Institute of Drug Abuse supported this research.